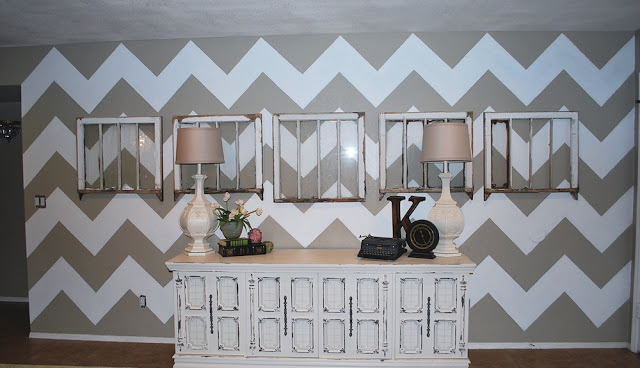 I painted my chevron wall about a year ago and I loved it. But I was ready for a change. I have changed this wall three times in the last month. If the zig zag would have been smaller then I would have done it. It worked perfectly. I am VERY VERY happy with the navy stripe!!! I love it, and I love all the little items add to the dresser, including my lamps that I taped off and painted the bases with gold spray paint. I love it! 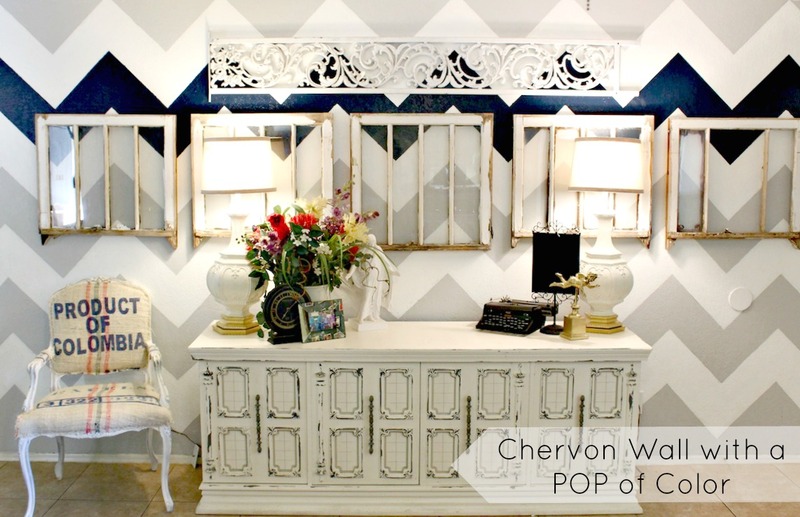 Can you come add a chevron wall in my house please? LOVE the navy, this is so clever. I’ve been needing something to like this to jazz up my formal living/dining area, and this is perfect, I’m totally going to do it!! What color navy did you use?? LOVE the navy! I think it is perfect! Classy and trendy all at the same time! Beautiful job!! What color would you paint the other walls in the room? 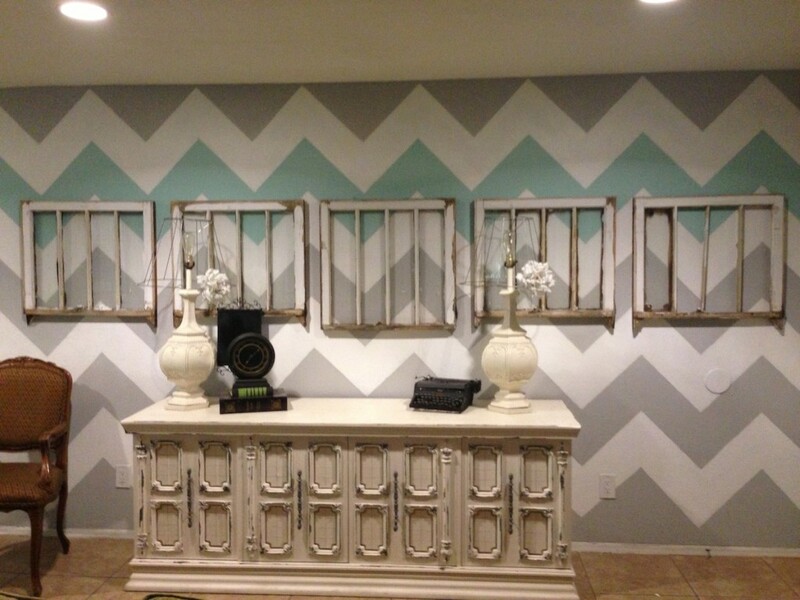 I love the chevron, with mint. 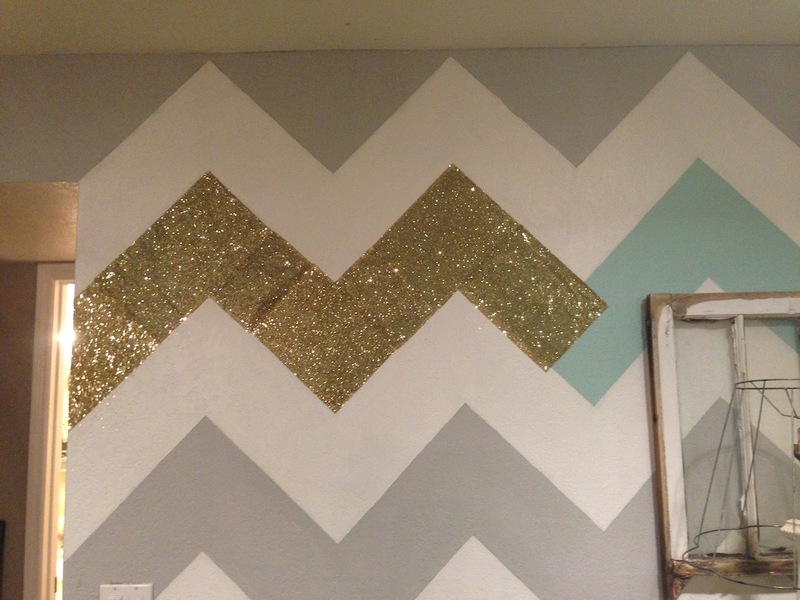 I want to do it for our little one’s nursery. I like them all. They all work defending on which color scheme you want. Do you remember the name of the mint green /brand you used?